What time indicator is given in Ezekiel 38-39 that tells when the Gog and Magog War will happen? Nathan Jones: Ezekiel 38-39 is an amazing passage. We are talking about two chapters in the Bible where God explains to us about a future war. There’s an incredible amount of detail given. This war will totally change the geo-political structure of the world. And, the Bible gives us lots of clues that it is coming pretty soon. Vic Batista: That’s right, and that’s why I’m excited about this wonderful portion of Scripture. As we make our way through the Word, I want to encourage everyone to get your Bible and turn to Ezekiel 38 and 39. Maybe you have an app that you can get the Bible on or your computer, whatever method you want to use, but join us as we make our way through these incredible passages. 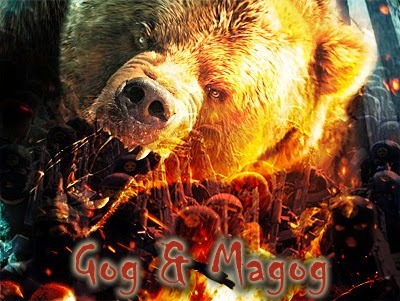 We talked a little bit in previous segments about the timing of the Gog and Magog War. Nathan, can you recap for us very briefly concerning the timing of all of this? Nathan Jones: Sure. 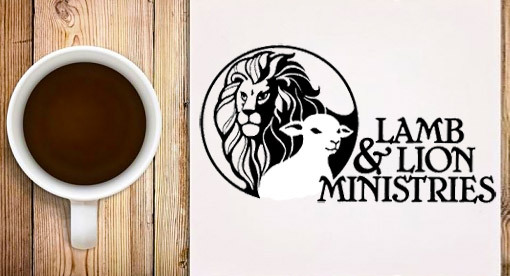 If folks need an online Bible, our Lamb & Lion App also has a Bible on it. People can follow along that way as well. Timing-wise we are basically talking about a war that involves a leader from Russia forming a coalition with Turkey, Iran, all those ‘Stan countries such as Kyrgyzstan, and it also involves Libya, the Sudan, and others in northern Africa. Those nations are going to come against Israel for they want to destroy Israel. The Bible in Ezekiel 38 says that this war will happen in the Last Days, or the Latter Years, which is a time indicator throughout the Bible that talks about the end of the Church Age and into the Tribulation time period. 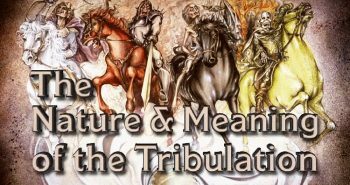 The Tribulation is a seven-year time period where God’s judgments will be poured out onto the world. Therefore, we know that this will take place somewhere in or around this Tribulation time period. To attack the nation of Israel you would have to have a nation of Israel, and that was fulfilled as of May of 1948. Now there is a nation of Israel again. Ezekiel tells us that Israel needs to be living in a time of peace. It’s a time where they are feeling relatively safe, so when they are attacked by Russia and her allies Israel will not be expecting it. Israel doesn’t live in safety and peace right now. Some could say that the Jews feel safe behind their defense forces, and that is a possible interpretation. Others say that they are constantly under attack and there are 66 million hostile Islamic Arabs always breathing down Israel’s neck, and that is certainly the case, too. This prerequisite for Israel to be at peace may not have yet come. That this peaceful condition hasn’t happened yet means we are not quite set up for the Ezekiel 38-39 war yet, but we know that we are getting very close because the alliance of nations that the Bible talks about now exists. Vic Batista: Absolutely. That is exactly what we pray for, that people would understand that this war could be coming very quickly. We believe that alliances are all lining up perfectly according to what the Bible says. We are living in exciting times! Nathan, you also pointed out the phrase “the latter years” is about when Israel is going to be at peace. You mentioned that Israel of course had to be put together first as a nation in order for them to be at peace, right? Nathan Jones: Yes. You can’t attack a nation if it doesn’t exist, and for 1,900 years Israel didn’t exist, but it exists today. The people who say that the modern-day nation of Israel is an aberration or an accident and that it’s not important to God, well they need to go back and read Ezekiel 38. It’s crystal clear that Ezekiel revealed God still has a plan for Israel. What nation has come back to life after 2,000 years? Really, what nation? Vic Batista: Exactly! People can actually research the history and realize there hasn’t been another one. Nathan Jones: No, the Hittites haven’t reformed as a nation. There is no Incan nation. There is no United States of Maya. They don’t exist anymore. They are all gone, and they didn’t come back. But Israel — God’s people — the foundational people of the Bible, are back in their land again. That means something. That’s important. God uses the Jewish people still to this day for His purposes and for what will happen when Israel is back in their land. 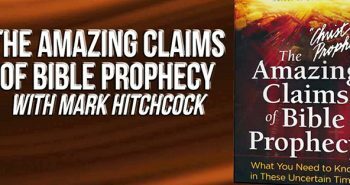 Vic Batista: The Bible prophesied that the whole world will be against Israel. Like World War II, we see that happening again today because not many people are friendly to the Jewish people anymore. We see in the news more and more hatred towards them. We see so many nations wanting to come against and destroy Israel. So, all of what’s now going on lines up, right, Nathan? Nathan Jones: Exactly, and you bring up a tremendously important point, too, because you said all the nations of the world will be coming against Israel someday. We read about that in the end of this latter days, the end of the Tribulation, the end of the seven year period when all the nations of the world line up against Israel at a battle called Armageddon. But, what we are reading here in Ezekiel 38-39 is only Russia, Iran, Turkey, Libya, Sudan and maybe some of the surrounding nations coming against Israel. So, we are not talking about all the nations of the world. We are not talking in this passage about Armageddon. 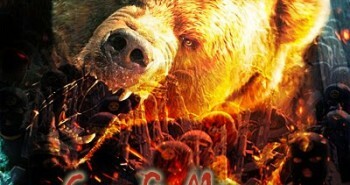 We are talking about a different war — the War of Gog and Magog. Vic Batista: Excellent point, and that’s something to take note of, because that’s why we believe that this war could actually transpire before the Tribulation. Nathan Jones: It’s possible. We can go through all the timing scenarios, but I think sometimes it is just easier to go verse-by-verse and the timing will become apparent to us. Vic Batista: Yes, let’s continue verse-by-verse. I think that method of studying the Bible is especially important for someone who is not familiar with the Bible. It is a great way for them to also see what’s going on here in this passage. In the eighth segment of our study of the Gog & Magog War of Ezekiel 38-39, Vic and I look at Gog’s evil plan. Not wanting to encourage date-setting, I still can't help but wonder: With Israel turning 67 this week, and the number 70 being significant in the Bible,how possible is it that the Rapture could happen within 3 years? Love, love, love your site. Great discussion! Enjoyed it very much.